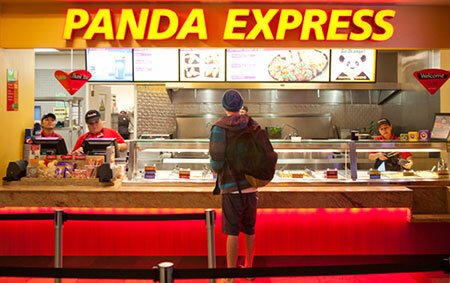 Panda Express is located in the Titan Student Union Food Court. Our chefs at Panda Express are famous for making delicious, one-of-a-kind entrées such as our signature tangy Orange Chicken and zesty Beijing Beef. Guests also enjoy a large menu of other traditional Chinese dishes like spicy Kung Pao Chicken and savory Broccoli Beef.